20 Weeks Pregnant - Baby Swallowing And "Breathing"
When you are 20 weeks pregnant, some babies kick so hard that it can even be seen from the outside. Others are a lot calmer. You are now half way through your pregnancy and it is time for many moms to start increasing their intake of iron to avoid anemia. Learn more about how to eat healthy during pregnancy here.. The fetal age of your baby is now 18 weeks. Half way through! Congratulations! Your baby now measures approximately 6.5 inches in length (16.5 cm) and weighs in at 10 ounces (280 grams). Other news this week include the development of vernix caseosa, which is the protective, waxy skin covering which helps protect the baby’s skin from being in the amniotic fluid all of this time and will serve an important purpose during the birth process to help pass through the birth canal easily. If you could peek inside of your belly you may even see the delicate eyebrows forming on your little one’s face or the hair that is growing on the scalp. Your baby is swallowing more this week as well as “breathing in” the amniotic fluid. This helps prepare your little one for the time outside the womb and helps the digestive system practice functioning. Now that the ears are fully functional, your baby can hear all of the uterine sounds, from your own heart beating to louder sounds from outside the womb. If you want to test a baby training system, designed for babies-to-be, this is a perfect time to get started. Check out the most popular program here. 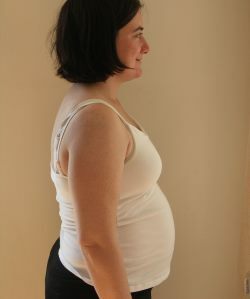 All of the other organs and structures are developed and ready so now is the time for your baby to grow and gain weight. Some waiting parents will want to hear the heartbeat of their little one every day, and this can easily be done now with a regular stethoscope. This is a great way to get Dad involved in the growing process so that he can feel and hear the baby as well. At 20 weeks pregnant, breathing can become heavy now for some women, since the lungs are becoming more crowded as all of the internal organs are shifting to make more room for your baby to grow. Iron rich foods are extremely important during this time of your pregnancy since your baby needs the extra iron to make red blood cells along with many other developments. Lean red meat, poultry, fish, spinach and lentils as well as iron-fortified cereals can help add to your already healthy diet. Eating a balanced diet will also help avoid anemia that can lead to low birth weight in your baby or premature delivery. 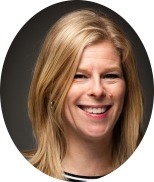 For tips on how to eat healthy during pregnancy, click here. In addition, anemia makes you extremely tired. It can be a challenge even to walk up the stairs. If you do feel weak and tired, make sure you test your iron blood levels at your next check-up. Some degree of anemia is very common at this stage and the weeks to come and iron supplements may be needed. 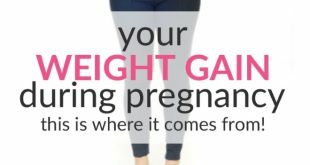 You may have already gained anywhere from 8-10 pounds (3.5-4.5 kg) now, and can expect to gain anywhere from 0.5 to a full pound of weight per week (0.25-0.5 kg) now as your baby continues to flourish inside. Other common pregnancy ailments during this time include frequent urination, heartburn, constipation or indigestion. 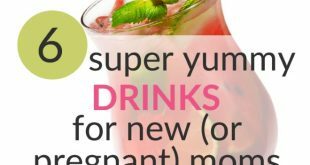 These may be only slight right now and will increase as your pregnancy progresses, so be sure to get enough fluids daily to help prevent some of these annoyances. You can Always talk to your health care provider about natural and safe Medical treatments available during this time to help alleviate constipation or heartburn, as well as other problems that arise such as dry, itchy skin. For your skin, if it itches or is dry, try Bella B Tummy Honey Butter. It helps! My baby made some kind of somersault this week. It felt really weird and now he/she is kicking in the opposite direction. This is a wild baby and the kicks can actually be seen from outside now. Fun for her dad! Are you also 20 weeks pregnant? Please share your experiences and thoughts by leaving a comment below!